The social media strategy summarizes the research and analysis the team has conducted, and it specifies several social media projects called pilots. We manage social media with agile processes, so pilots are short, have specific goals, and iterate. Each pilot has its own charter, which specifies its mission, goals, resource requirements (tools, people, budget), timeline, milestones, measurements, and metrics. We call them pilots because we kill them if they don’t make goal. Each role on the team has an interaction “template,” which is a self-contained document that contains everything a person needs to be successful: mission, focus, goals, metrics, measurements, and tools. The pilot charter shows how each role fits together into the whole. Charters and templates make it easy to roll people on and off teams. Of course, we iterate all these documents as we learn. You have probably heard that people “buy holes, not drills.” CSRA’s ethnographic research of social media has consistently shown that people care less about the products/services they buy than about using them to attain outcomes that are personally meaningful to them. When customers talk among themselves, customer language is all about outcomes. Therefore, your social media strategy should be built around helping people attain their outcomes. Do you want to get and maintain people’s attention? Speak their language. Most firms miss this and talk about themselves and their products, which are of secondary interest to customers and prospects. 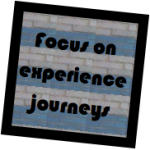 People’s outcomes are contained in their experience journeys. Experience journeys are different from “buying journeys” because their focus begins when a person discovers a problem or opportunity that subsequently leads to an outcome for which your product/service is very valuable. And experience journeys continue way past the purchase, until the customer gets value from the product by using it throughout the product life cycle, including disposal. Your social media strategy should focus teams on the entire experience journey. Here’s a secret: the closer people get to the buy part of their experience, the more they mistrust firms. It’s easiest to build trust way before or after the buy. Conveniently, your competitors ignore people who aren’t in the buy part of their experience. As detailed in the Trust Business Chain Reaction, firms that are more trusted by their customers, employees, partners, communities, and other important people are more profitable. They suffer less customer and employee churn. Their customers are less price sensitive, and their employees are less focused on pay. Their organizations are more flexible because people tell the trust more often, so projects have fewer gotchas. Therefore, your social media strategy should be grounded in building trust with your stakeholders. That means supporting their outcomes. Everyone you care about has outcomes that they hope their relationship with you will support. 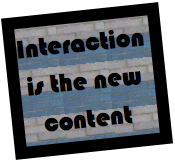 By analyzing their interactions, you will learn what their outcomes are. Your teams will earn trust when they are sincere and transparent. You can trust people in digital public because groups are reasonable and fair in digital public, with very rare exceptions. For example, admit it when your firm or product isn’t as good for someone’s outcome as a competitor’s (imagine how people’s trust in you goes up then!). Think about your reaction when someone tries to sell you something. I think you’ll discover a pattern: people who “sell” try to force their agenda on you. They often don’t listen because they don’t care, they just want to sell. Marketing as traditionally practiced listened little and talked a lot because there was little information available to access, and tools to distribute information were powerful. When someone promotes themselves, it significantly reduces trust, which is the anchor to profit. To understand how this works, check out How Trusting Customers Drives Profit. Your social media strategy give your teams guidance for not promoting your firm or products. Here’s another secret: when your teams consistently empower the outcomes of people whose journeys correlate most strongly with your products/services, it’s way better than promoting; in fact, your consistent act of empowering people shows your relevance and care better than any marketing could. Experiential social media achieves marketing goals better than marketing! I’ve consistently seen that people can’t resist firms that are unusually caring and relevant to their outcomes. 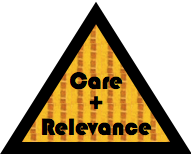 Care and relevance build trust most quickly, especially in social media because when you show care and relevance to people with outcomes, the people in their networks see and get inspired, when you are consistent and sincere. Your social media strategy shows how this works at a firm level, and templates drill down to individual roles. Problems, frustration, and even trolls are fantastic opportunities for showing how much you care and are grounded in your mission of empowering outcomes. 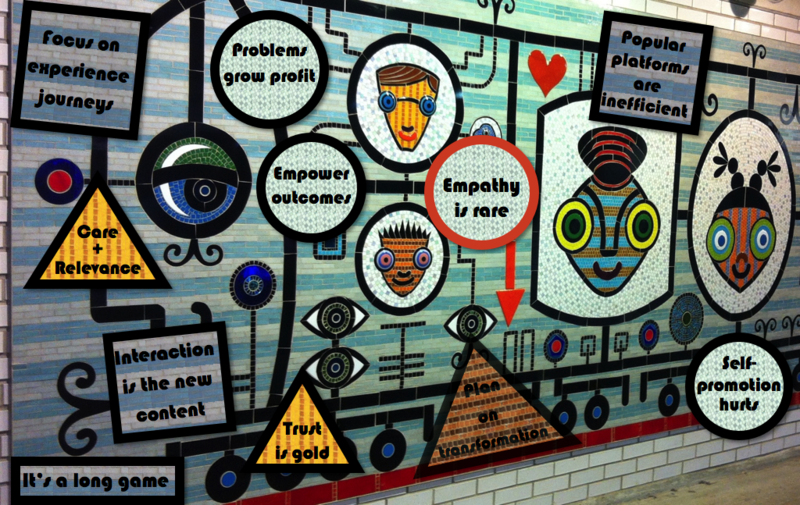 Unlike traditional social media, experiential solves problems in digital public, where everyone can see. This requires internal diligence to determine what your boundaries of possibility are when serving customers and empowering people. Whatever they are, when your teams are transparent and consistent, people will respect the rules. Not every person, but people as a whole. When you’re consistent and they feel that you want to help them. For every person who complains, there are a hundred who have a similar problem. When you solve the problem in public, you show your confidence, honesty, and lack of fear, and your act of help is greatly magnified. When people criticize your firm or product, you don’t defend yourself because your teams’ primary purpose is to understand the problem and help the person. In the case of a troll, s/he won’t be satisfied, but all observers will admire your care and resilience. Your strategy and team templates guide teams on how to do this. You can’t lose! The best, most creative “content” makes less impact on people than listening to and helping a person. Therefore, your social media strategy and its templates aim first to have unusually meaningful interactions in digital public, and they share links to these interactions. Since you don’t create this content—in fact, you co-create with people by interacting—it’s more customer-focused and credible. Of course, you also create and share content that’s informed by your interactions, content that doesn’t promote but empowers outcomes. This helps magnify your good work. Social media is not a “campaign” like an ad buy, it’s a relationship. It’s also very competitive. It’s a long game, and you will outperform your competitors by striving for efficiency. The cornerstone of efficiency is empowering the outcomes of your most important people (i.e. most profitable customers). You’ll build trust and profit from the most profitable people, and people with whom they’re associated since they have related outcomes and interests. By baking agile management into your social media strategy and pilots, you’ll adjust more quickly and have lower costs. Don’t be afraid to redesign or kill pilots that produce lackluster results. If you’re pushing the envelope, at least 20-30% of your pilots should be shut down. Depending on who your most important people are, it make take several months to start showing meaningful results. This is predictable because your social media strategy’s research reveals your most important people’s attitudes and sentiment towards you and your competitors and substitutes. This one will help most firms significantly improve results. Since interaction is the most valuable content, and you want to be most efficient, interact in public venues in which your most important people with relevant outcomes are having the most heated, detailed conversations. Because you want to co-create the most unique. relevant, and valuable interaction with minimal noise. 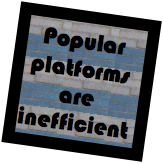 Therefore, Twitter, Facebook, Pinterest, Instagram, and other mega-platforms are not valuable for interacting; however, they are excellent for amplifying your interactions and sharing content that empowers outcomes without promoting. Your social media strategy details what platforms you use and how, and each template brings it down to the individual team roles. It’s a sad fact but an incredible opportunity: firms show precious little empathy to people because they’ve been taught to “maximize shareholder returns” by minimizing costly interactions with customers, prospects, employees, and others. People (just think of your own experience interacting with organizations) have learned to have low expectations of business and government. Empathy is grounded in caring. Caring is the foundation of listening. People feel this when it’s authentic. They feel it when your teams’ foremost goal is to listen and empower. This can’t be a tactic; it has to be core to your team culture. The social media strategy should make this explicit; however, most people learn best via mentoring because empathy in a business context is almost unknown. They understand it when they see their mentors practicing it consistently. There’s no substitute for empathy. If your teams are listening because someone told them to, you won’t see results. They have to care, and caring can’t be ordered. 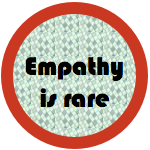 Conversely, empathy is innately human, and everyone understands it, so when they see it in context, they get it. It’s beautiful to see it unfold. When you build your social media strategy around these lessons learned, transformation of your business is a given because your relationships with all the people around your firm change. You’ll see less friction because trust removes friction. All firms have friction, and each firm is different. When your teams consistently care for people in digital public and put people’s outcomes ahead of the firm, friction goes way, way down. If your social media strategy is focused on external stakeholders, it will also transform the internal culture because employees will see it and feel it. Plan for this and facilitate it. Your employees will begin to feel a sense of mission. People prefer to care, and they feel better about themselves when they get to help other people. Mistrust adds stress and friction, and friction begets more friction. 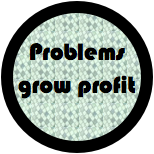 Most people are sad and stressed when policies force them to shaft customers. Many firms mistrust customers, so they enact policies to “protect themselves” against customers. “It’s our first line of defense.” Wrong. Trusting people as a group is much more profitable than mistrusting. 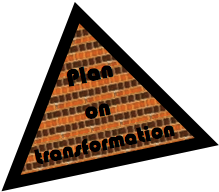 For some firms, this is a profound culture change, so transformation needs to be planned, but that’s a post for another day! 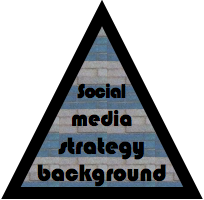 Social Media Strategy Good Practices complements these lessons learned. Experiential Social Media is an executive summary that explains the ethos, discipline and practice of experiential in a few paragraphs. It also shows how experiential relates to social business and social media marketing. Using Social Media and Social Business Together to Evolve Experience shows how social media marketing can work with social business to improve customer experience. The Social Channel App is an interactive guide to practicing experiential social media and social business transformation.